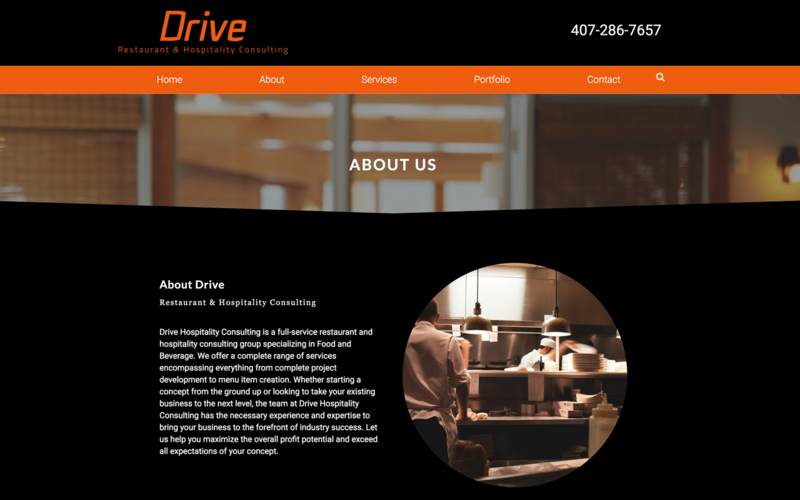 Drive Restaurant and Hospitality Consulting is an Orlando based consulting agency that specializes in restaurant and hospitality growth. They work with local restaurant owners to help take their locations to the next level. 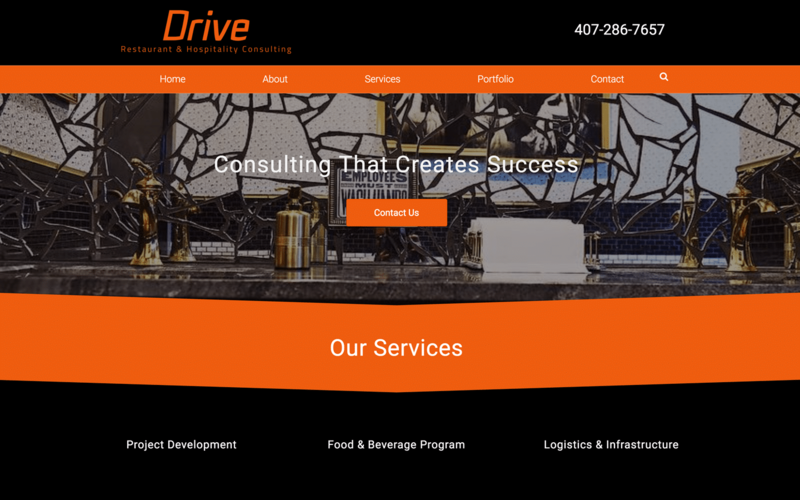 Drive needed a website that would attract new clients, while also showing off projects completed for former and current clients. The client base being pursued is one on the go so the mobile design was a must. 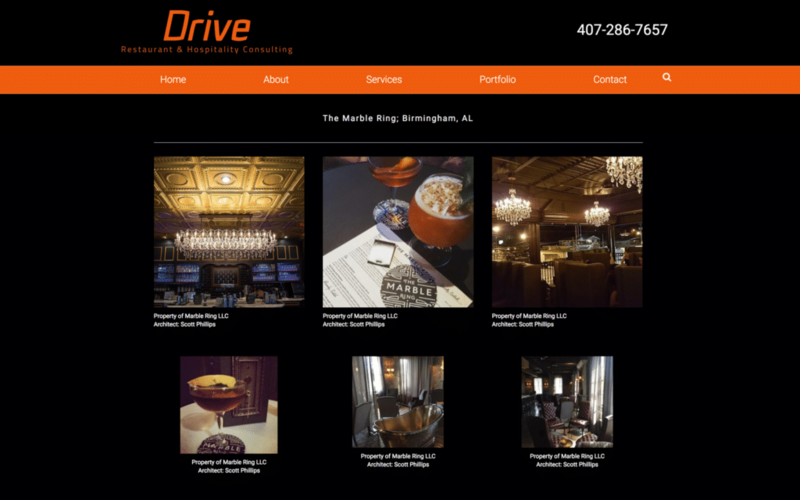 Drive's goal is to have steady growth for their clients as well as within their own agency. Understanding the need to show potential clients the high caliber work previously completed, we built a site with a portfolio in mind. The design shows off completed projects in a mobile responsive way for those clients on the go. Using imagery we made it easier to create social campaigns for growth.